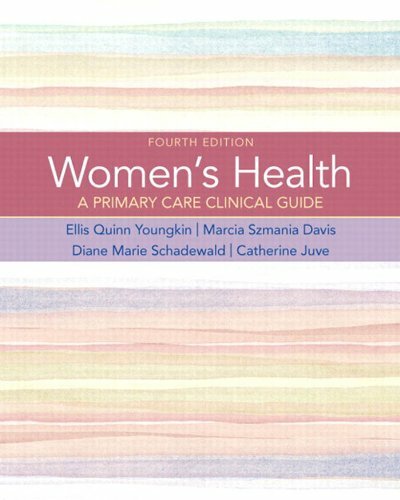 Fully updated to reflect the latest standards of care, this easy-to-use handbook brings together complete information on women’s healthcare and health promotion. 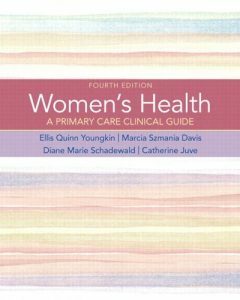 Using a systematic, problem-solving format, WOMEN’S HEALTH: A PRIMARY CARE CLINICAL GUIDE, 4/e thoroughly addresses key issues in all areas of primary care for women, including reproductive and gynecologic content as well as selected common medical, psychosocial, developmental, and political problems, issues, and needs. Every chapter has been updated, and this fourth edition includes an entirely new chapter on the assessment of older women’s health. A separate chapter is now provided on Epidemiology and Diagnostic Methods and Procedures for Women’s Health, and coverage of Complementary Therapies has been significantly expanded. Useful reference appendices cover topics ranging from billing and coding to relevant laboratory test values.